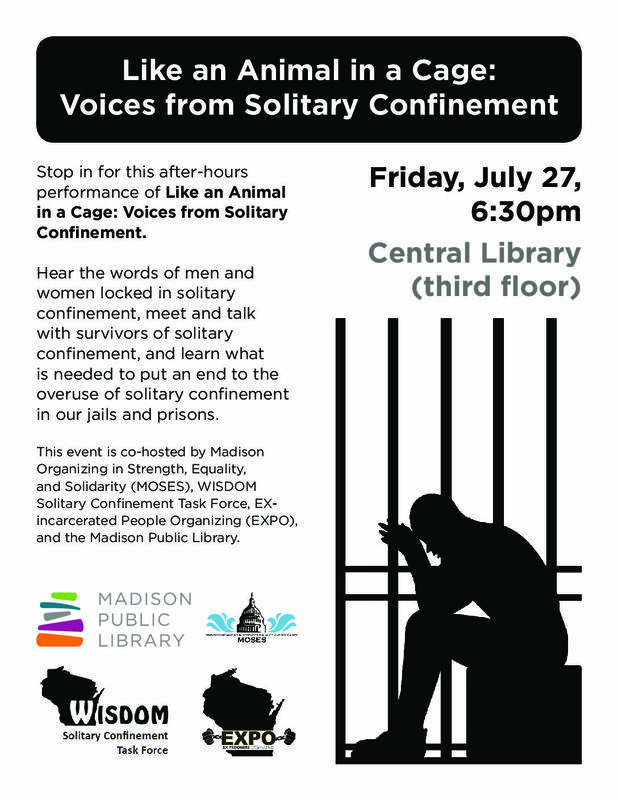 What: Hear the words of men and women locked in solitary confinement. Meet and talk with with survivors of solitary confinement. Learn what is needed to put an end to the overuse of solitary cofinement in our jails and prisons. More: Please see this flyer and distribute widely.